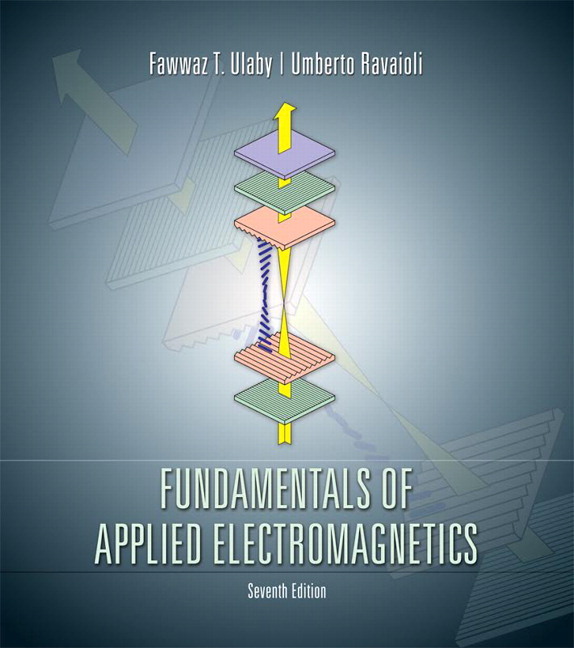 Widely acclaimed both in the U.S. and abroad, this authoritative text bridges the gap between circuits and electromagnetics material. Coverage begins with transmission lines, leading students from familiar concepts into more advanced topics and applications. 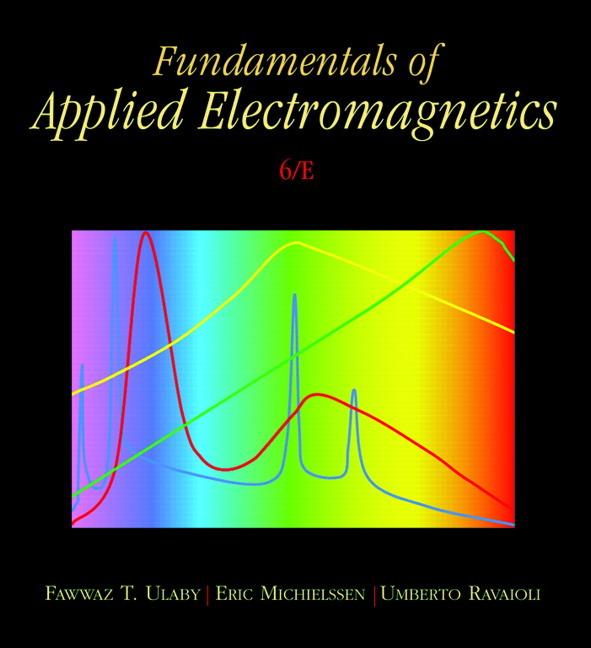 A student-friendly approach, full-color figures and images, and a set of interactive simulations will help students develop a deeper understanding of electromagnetic concepts and applications. Early Introduction of Transmission Lines: Transmission lines constitute a natural bridge between electric circuits and electromagnetics. By introducing transmission lines early, students can use familiar concepts to learn about many of the properties of wave propagation in a guided structure. UPDATED Real-world Applications: Expanded Technology Briefs connect electromagnetic fundamental concepts to their countless real-world engineering and scientific applications. UPDATED Hands-on Simulations: A set of 10 additional interactive simulation modules, bringing the total to 52 web-based simulation modules, allow the user to interactively analyze and design transmission line circuits; generate spatial patterns of the electric and magnetic fields induced by charges and currents; visualize in 2-D and 3-D space how the gradient, divergence, and curl operate on spatial functions; observe the temporal and spatial waveforms of plane waves propagating in lossless and lossy media; calculate and display field distributions inside a rectangular waveguide; and generate radiation patterns for linear antennas and parabolic dishes. Students can use these valuable learning tools on their own, or instructors can incorporate them into their lecture materials and homework assignments. The multiple window feature of electronic displays makes it possible to design interactive modules with “help” buttons to guide the student through the solution of a problem when needed. 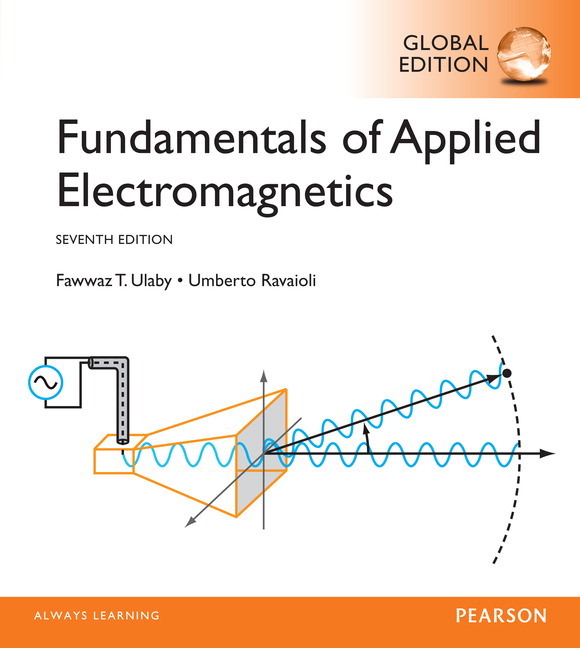 Video animations can show how fields and waves propagate in time and space, how the beam of an antenna array can be made to scan electronically, and examples of how current is induced in a circuit under the influence of a changing magnetic field. Mathematical Explanations of Physical Concepts: Emphasis is placed on using the mathematics to explain and clarify the physics, followed by practical examples intended to demonstrate the engineering relevance of physical concepts. ENHANCED Visualization: Enhanced full-color figures and images efficiently convey core concepts. NEW/UPDATED Review: New/updated end-of-chapter problems provide more opportunities for review. Reference: The bibliography features current references to help students delve deeper into particular concepts. Real-world Applications: Expanded Technology Briefs connect electromagnetic fundamental concepts to their countless real-world engineering and scientific applications. Hands-on Simulations: A set of 10 additional interactive simulation modules, bringing the total to 52 web-based simulation modules, allow the user to interactively analyze and design transmission line circuits; generate spatial patterns of the electric and magnetic fields induced by charges and currents; visualize in 2-D and 3-D space how the gradient, divergence, and curl operate on spatial functions; observe the temporal and spatial waveforms of plane waves propagating in lossless and lossy media; calculate and display field distributions inside a rectangular waveguide; and generate radiation patterns for linear antennas and parabolic dishes. Visualization: Enhanced full-color figures and images efficiently convey core concepts. Review: New/updated end-of-chapter problems provide more opportunities for review. Since joining the University of Michigan faculty in 1984, Professor Ulaby has directed numerous interdisciplinary projects aimed at the development of high-resolution satellite radar sensors for mapping Earth's terrestrial environment. He also served as the founding director of the NASA-funded Center for Space Terahertz Technology, whose research was aimed at the development of microelectronic devices and circuits that operate at wavelengths between the infrared and the microwave regions of the electromagnetic spectrum. He then served a seven-year term as the University of Michigan's vice president for research from 1999-2005. Over his academic career, he has published 10 books and supervised more than 100 graduate students. Professor Ulaby is a member of the U.S. National Academy of Engineering, Fellow of the American Association for the Advancement of Science (AAAS) and the Institute of Electrical and Electronic Engineers (IEEE), and serves on several international scientific boards and commissions. In recognition for his outstanding teaching and distinguished scholarship, he has been the recipient of numerous honors and awards from universities, government agencies, and scientific organizations. Among them are the NASA Achievement Award (1990), the IEEE Millennium Medal (2000), the 2002 William Pecora Award, a joint recognition by NASA and the Department of the Interior, and the Distinguished FEA Alumni Award from the American University of Beirut (2006). In 2006, he was selected by the students in the Department of Electrical Engineering and Computer Science as "Professor of the Year," and shortly thereafter, he was awarded the Thomas Edison Medal, the oldest medal in the field of electrical and computer engineering in the United States. Professor Ravaioli attended the University of Bologna, Italy, where he obtained degrees in Electronics Engineering and Physics. He conducted his dissertation work on fiber optics and microwaves at the laboratories of the Marconi Foundation in Villa Griffone, the summer estate where Guglielmo Marconi performed his first radio experiments. After developing interests in high speed semiconductor devices and large scale computation, he pursued a Ph.D. in Electrical Engineering at Arizona State University, where he developed Monte Carlo particle simulations for the high electron mobility transistor. He joined the Department of Electrical and Computer Engineering of the University of Illinois at Urbana-Champaign in 1986. He was a co-founder of the National Center for Computational Electronics, which promoted for over a decade the development of large scale device simulation by leveraging resources at national supercomputing centers. His research group has developed Monte Carlo and quantum simulators for a wide range of semiconductor device applications, expanding recent activities to charge transport in biological systems, coupled electro-thermal simulation, and nanoelectronics. He is now the leader of the Computational Multiscale Nanosystems group at the Beckman Institute of the University of Illinois and is also serving as Senior Assistant Dean for Undergraduate Programs in the College of Engineering. Professor Ravaioli is a Fellow of the Institute of Electrical and Electronic Engineers (IEEE) and a Fellow of the Institute of Physics (IOP). He received the First Place Outstanding Paper Award at the 2007 IEEE International Conference on Electron Information Technology for his recent work on electro-thermal simulation.